Lynwood Glen is an upmarket suburb of Pretoria, in Gauteng, South Africa. 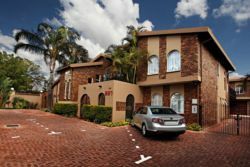 It is located to the south east of Pretoria's central business district, and is a popular place for both locals and visitors thanks to the combination of its proximity to the centre, its accessibility and its pleasant ambience. 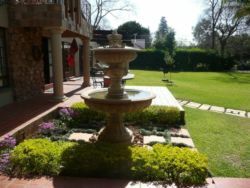 It is surrounded by prestigious Pretoria suburbs such as Die Wilgers, Lynwood Manor and Faerie Glen, all of which boast a similar atmosphere to Lynwood Glen. That atmosphere is one of wealth, stability and suburban aesthetics, with their wide smooth roads, broad pavements, large well-kept properties and healthy population of trees and other plants. Lynwood Glen lies to the east of the N1 highway which makes accessibility to Pretoria's CBD, as well as to other areas further afield really simple. The centre is a hive of traditional tourist attractions like old buildings and museums, as well as company headquarters and business opportunities. This aspect makes Lynwood Glen appeal to a wide variety of travellers. Another area which is extremely accessible from the suburb is Hatfield, home to the Gautrain station, the Gautrain being part of the rapid transport initiative which ferries people between OR Tambo International Airport and Pretoria. It also happens to be Pretoria's nightlife and restaurant hub - with a healthy selection of bars and restaurants lining the square - restaurants which are equally enjoyable for sunny lunches and pre-party dinners. Nature-y attractions are also part of the Lynwood Glen package, with the Pretoria National Botanical Garden to the north and the Faerie Glen Nature Reserve to the south. Each offers something different to the visitor, but what they share is accessibility with regards to Lynwood Glen and the opportunity for visitors (and locals) to admire nature and breath in some fresh air - just what one needs from time to time in a city as busy and exciting as Pretoria. A quick look at our website will give you the information you need to make your choice. 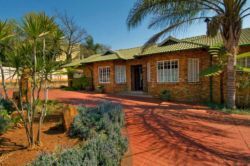 You will find reviews and you will also be able to compare prices and find wonderfully affordable accommodation in Lynnwood Glen. Are you planning the perfect getaway but have not yet found your ideal Lynnwood Glen accommodation? By using our easy website, you can find great accommodation of all types, whether it is a cosy bed and breakfast or a comfortable lodge. We have thousands of easy to find listings for self-catering facilities, holiday homes, guest houses and hotels as well as backpackers, chalets, caravan facilities, villas and apartments, giving you a wide variety of options when it comes to your accommodation in Lynnwood Glen. To help you find the right place to stay, we have a number of tools that you can use, including a map. This will help you to pin point exactly where you will be staying and it will show you the accommodation facilities that are closest to where you will be. Regardless of the reason for your visit to Lynnwood Glen, we can guarantee that you will find the type of accommodation you are looking for. But reviews for Lynnwood Glen accommodation is not the only information you will find. Want to know if your Lynnwood Glen accommodation is pet-friendly or allows smoking? All of that information is included on the listings page. You will also be able to find which activities are on offer and the sort of amenities included with each room. All of this information will help you to make an informed decision before you make any payments to, giving you more peace of mind about your choice. We include all of the contact details of the self-catering accommodation, holiday homes, guest houses and hotels as well as backpackers, chalets, caravan facilities, villas and apartments in Lynnwood Glen which are featured on this website, so you also have the option of getting directly in touch with the place. 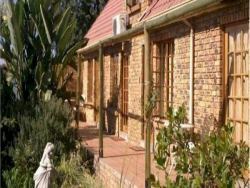 Regardless of where you are staying, we feature Lynnwood Glen accommodation in that area of the province. You have options of Lynnwood Glen guest houses, lodges and bed and breakfasts, among others, ranging from your more affordable, lower prices to your more luxurious options. So, you are not visiting for a holiday but rather for business and all you need is a place to stay for a night or two? The bed and breakfast options, as well as the lodges, are generally preferred by business people and you will find all types, from your more luxurious lodges to your simple, self-catering bed and breakfast. Each will give you a safe roof over your head while you are in the province. 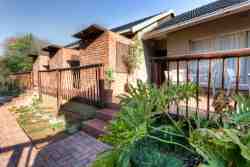 Lynnwood Glen accommodation is not only affordable but well situated. If you are doing business in this area, this is a great accommodation choice. Spending more than a few days in the province? Perhaps you are indulging in a tour of the region and you are looking for a few places to stay? Browsing through our listed self-catering accommodation, holiday homes, guest houses and hotels as well as backpackers, chalets, caravan facilities, villas and apartments in Lynnwood Glen will give you all of the information you need to make your selection. And once you have found the ideal place to stay, you can either request a quote or make your booking directly on this website. Sleeping-OUT.co.za is designed to make finding and booking accommodation in Lynnwood Glen easier than your traditional methods of sourcing a place to stay! 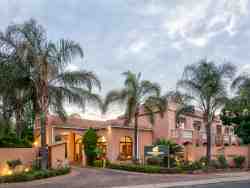 We include some great accommodation special deals in and around Lynnwood Glen.